Ruff-Ruff, Tweet & Dave — Bejuba! Choices and Fantastic Adventures Await! Ruff-Ruff is a puppy who’s always running around sniffing out fun things to do. 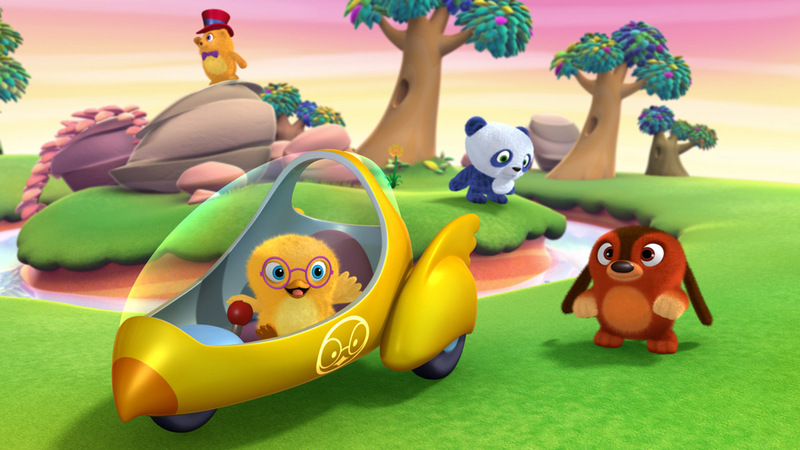 Tweet is a fluffy yellow bird who loves to sing and Dave is a quirky, inventive blue panda. 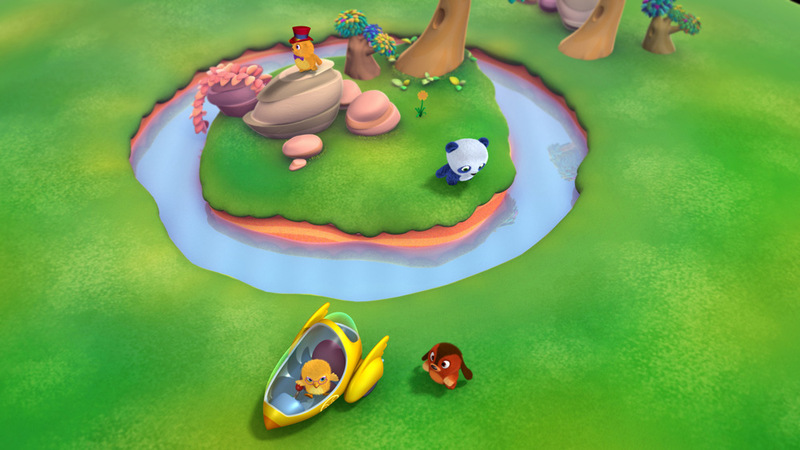 Together, with Hatty the Hamster, who arrives in his Spin-Again spinning craft, they go on fun-filled adventures in fantastical lands, where they play games and make exciting discoveries! 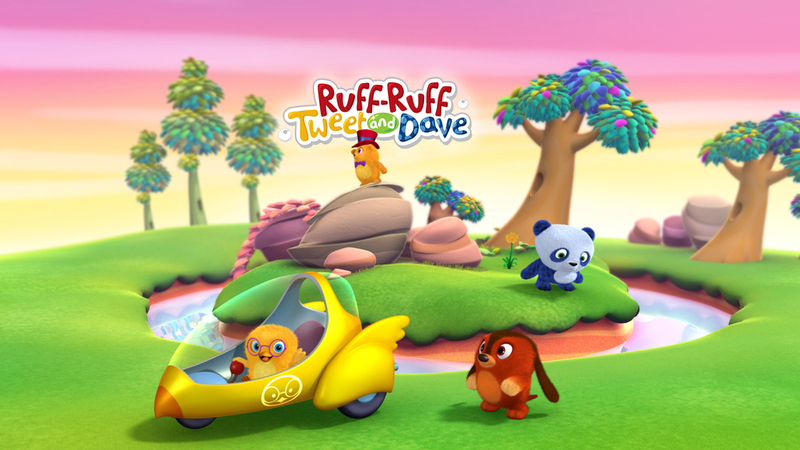 Ruff-Ruff, Tweet & Dave is a show about choices. For as well as being our lead characters, Ruff-Ruff, Tweet and Dave also act as the 3 possible answers to a series of multiple choice games and questions within the adventure that help our trio decide what to do or how to understand the world around them. 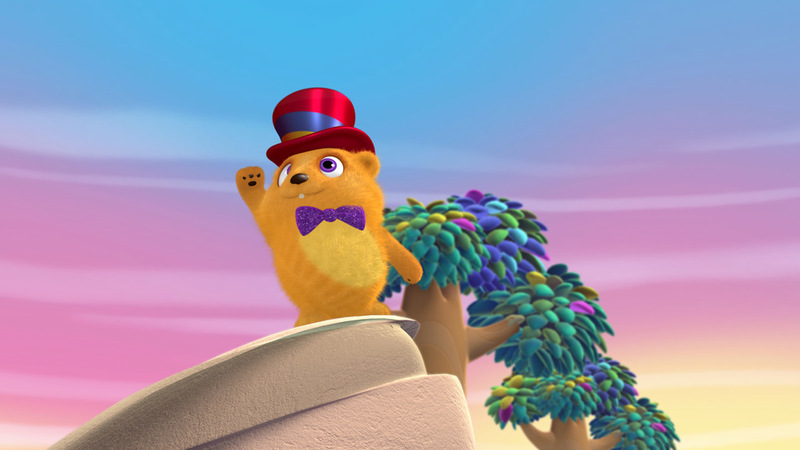 Hatty and his magical hat ask all the questions. 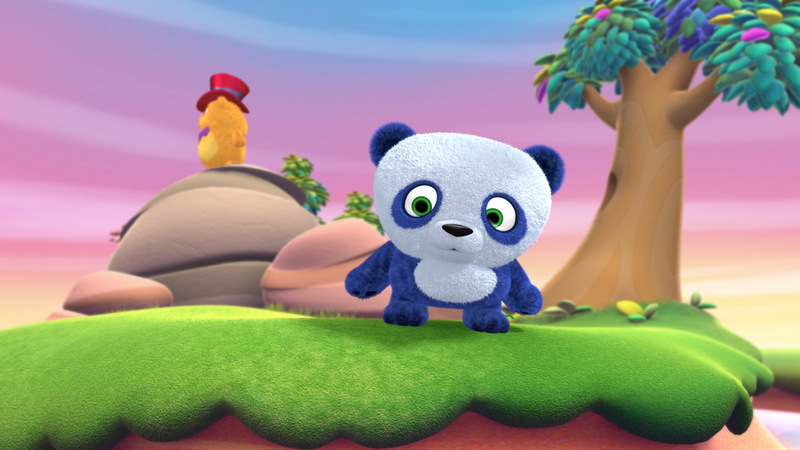 And as each character champions a different choice, Hatty asks the audience to pick ‘who’ has the right answer. So, no matter what the question is, the answer our viewers at home are called upon to shout out, is always either, Ruff-Ruff, Tweet or Dave.